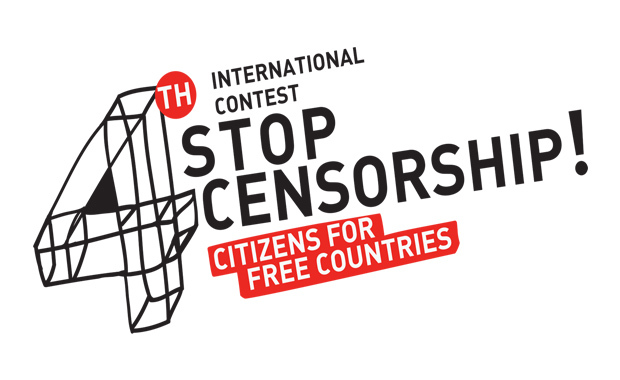 The International Contest “Stop Censorship! Citizens for free countries” will be held the fourth time this year and will last 22 April — 30 May, 2016. The Contest joins activism and different kinds of creative practices. Traditionally it is open for works related to freedom of speech protection, access to public information, fighting censorship and works on a special topic. Winners will be selected by three juries – Expert jury, Internet users jury and Special jury. After winners are selected, their works will be exhibited in Kiev (Kyiv) and regions of Ukraine. Implementation of urgent reforms in Ukraine as in many other young democracies is delayed. The main reason of this delay is corruption. Freedom of speech, critical thinking, joint civil actions directed on controlling the government can change the situation. Analysis of a problem and open dialogue are the first steps that should be done to change the situation. The works are accepted in five (5) categories: image, text, poem, slogan and multimedia and can be submitted in Ukrainian, the Crimean Tatar language, English and Russian. The Contest is very democratic. Everyone regardless age, citizenship and education can participate.